'tis The Time of The Year: Starbucks Red Cups are Back! 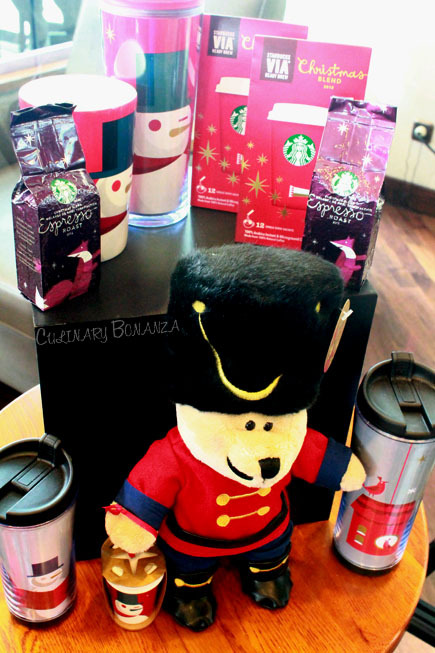 Limited Edition Starbucks Nutcracker Bearista available in stores now! These red cups bring back a special memory to me. 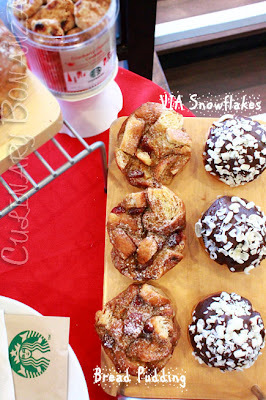 It was only a year ago, when Starbucks invited me to its 2011 Holiday Gathering and guess what's served there? 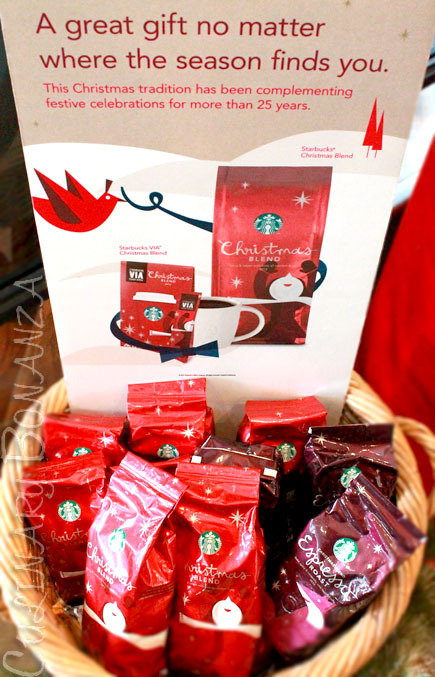 Correct, Starbucks Red Cups! 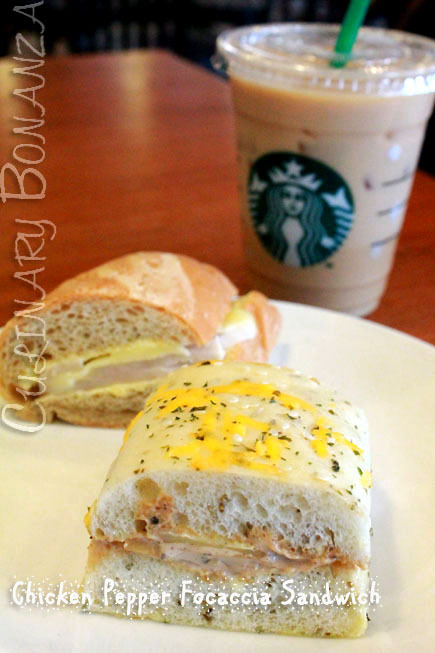 It was the very first invitation I had ever received since I started blogging in August 2011. 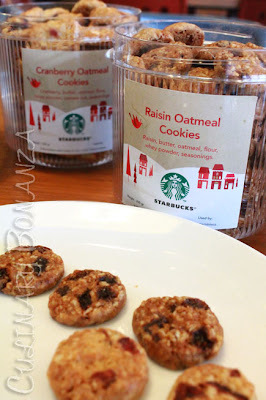 Some things still remains today, such as the beverage flavours and the limited edition Cranberry Oatmeal Cookies. These cookies had been so delicious, I could easily finish an entire can myself! 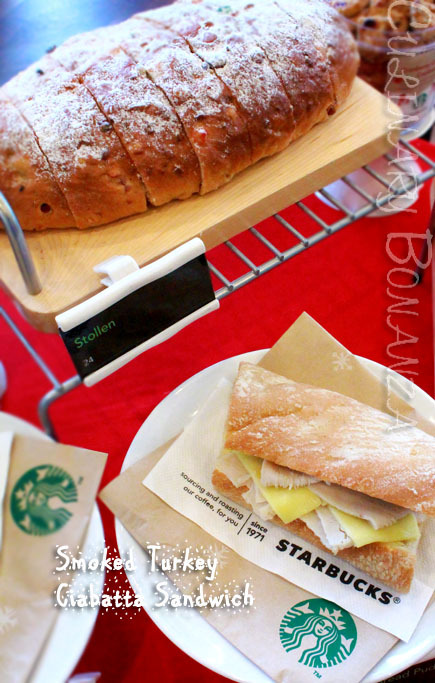 I like this one better than the Ciabatta Sandwich, since the texture of the focaccia panini is not as dry as the ciabatta. The filling also suits my preference better: roast chicken, creamy black pepper sauce and cheese. It's pastry bread, soaked in pudding sauce, with hints of nutmeg and raisins. A traditional holiday delicacy from Germany, Stollen is actually a type of fruit cake containing dried cranberries and raisins and almond-flavoured marzipan rope in the middle and topped with icing sugar for that Christmas-y snowy feel. I find the marzipan rope ultra sweet, so diabetic consumers should avoid the marzipan core. Whereas the cake itself taste more like bread, so the recommended serving is to toast it and smear with butter. 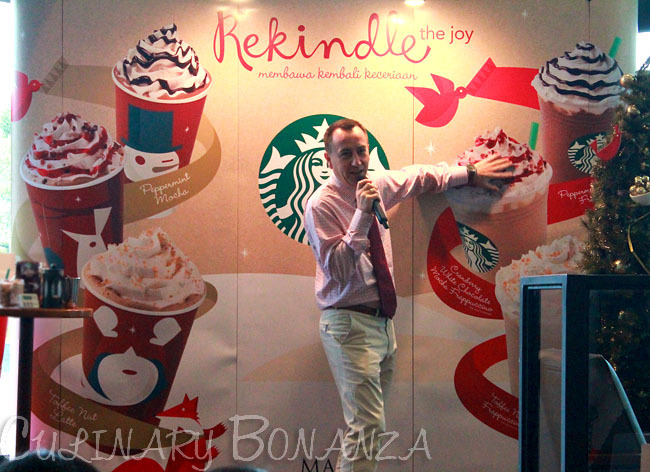 I have always heard about Starbucks' strong CSR campaign overseas, but almost unheard of in Indonesia (my bad, for not following the news or they're simply humble about their charitable movements?) Anyway, I'm glad to share with you that this year Starbucks gives back to our community in the form of charity grant totalling US$43,000 for 3 selected local charities: Sahabat Anak, Yayasan HIMMATA and Yayasan Karang Widya. Starbucks Indonesia's Managing Director, Anthony Cottan also came to the gathering to present the grants to the charity representatives. Hi5! 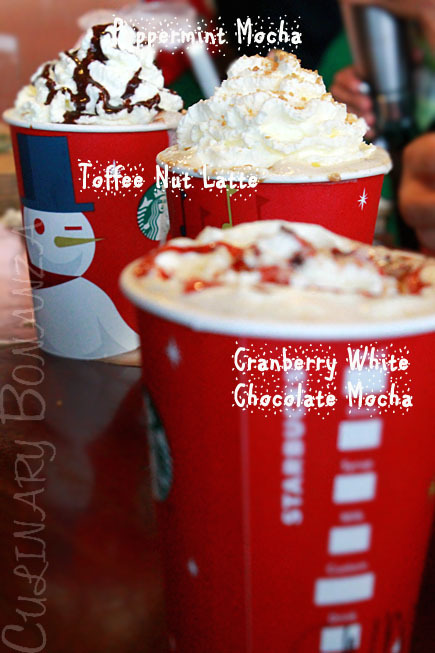 My favorite has always been Peppermint Mocha too! Glad that they bring it back again this year. @Le Journal: Thanks for dropping by. =) Indeed, the gathering was bubbling with holiday warmth, there was even a live band singing holiday songs there!